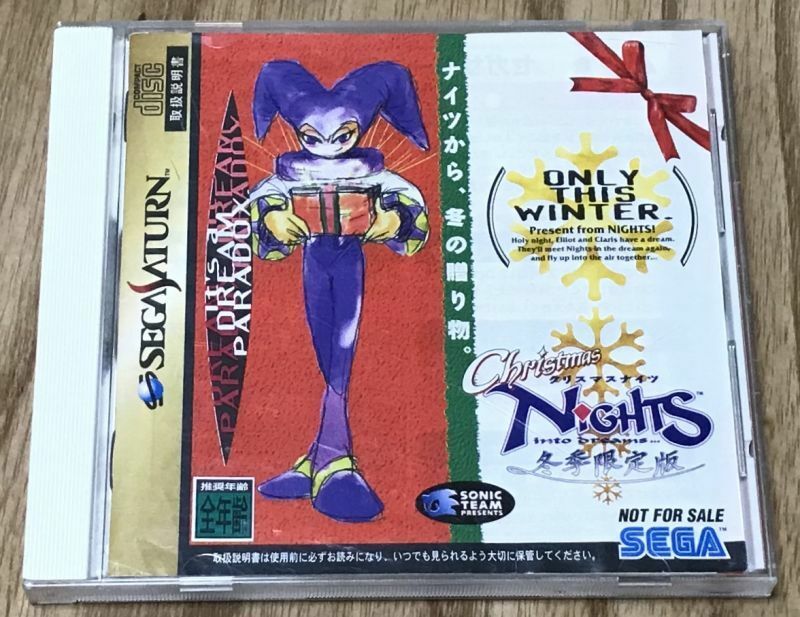 Christmas Nights (クリスマスナイツ) was released in Japan only as part of a limited edition Christmas bundle in 1996. 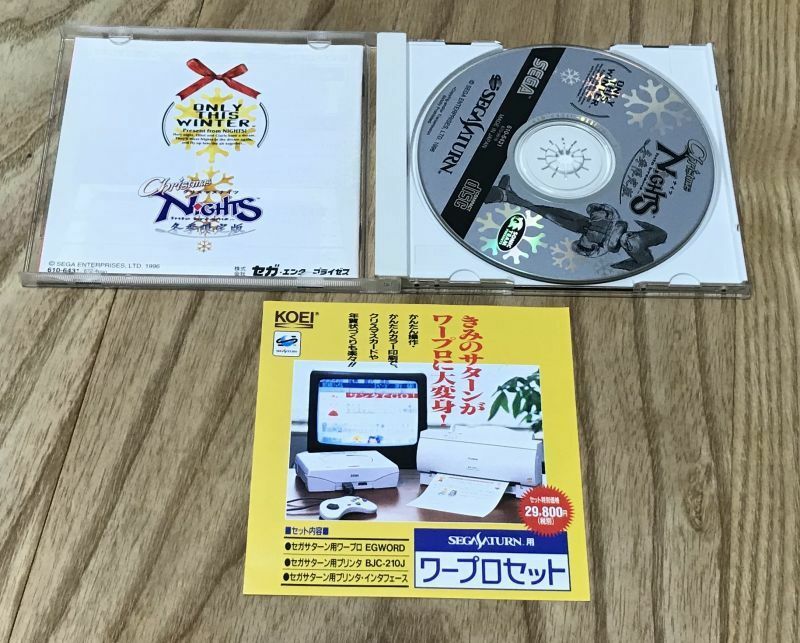 It was introduced in Japan as part of a Christmas Sega Saturn bundle. From wiki: Christmas Nights follows Elliot and Claris during the holiday season following their adventures with Nights. Realizing that the Christmas Star is missing from the Twin Seeds Christmas tree, the pair travel to Nightopia to find it, where they reunite with Nights and retrieve the Christmas Star from Gillwing's lair. December activates "Christmas Nights" mode, replacing item boxes with Christmas presents, greenery with snow and gumdrops, rings with wreaths, and Ideya captures with Christmas trees; Nightopians wear elf costumes, and the music is replaced with a rendition of "Jingle Bells" and an a cappella version of the Nights theme song. During the "Winter Nights" period, the Spring Valley weather changes according to the hour. 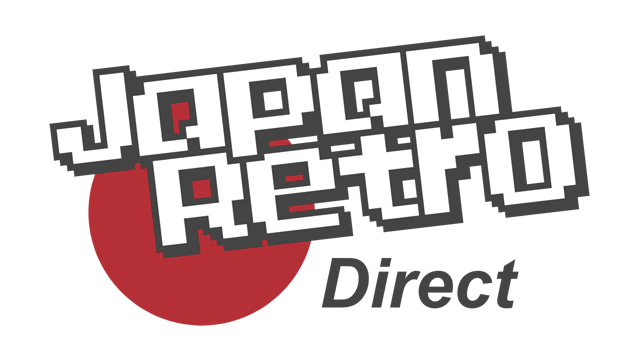 Other changes apply on New Year's Day; on April Fool's Day, Reala replaces Nights as the playable character. 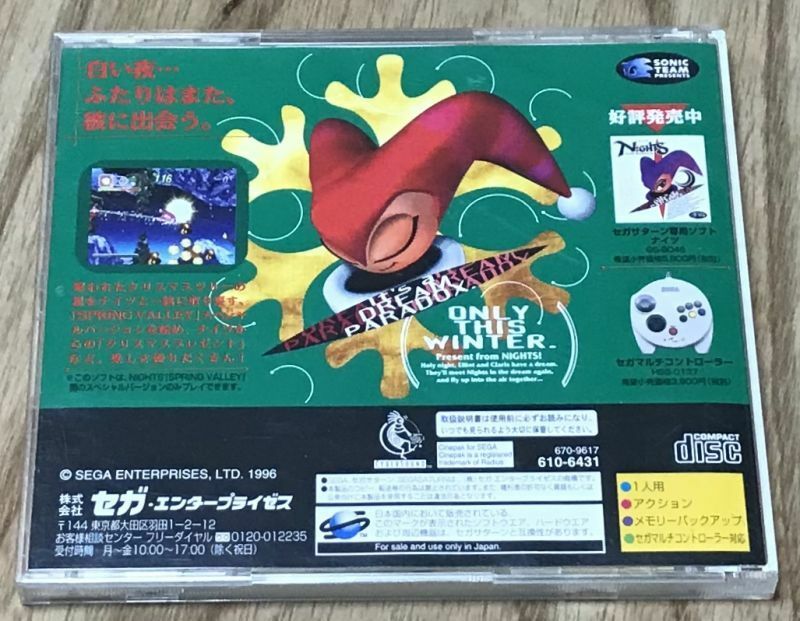 The game features several unlockable bonuses, such as being able to play the game's soundtrack, observe the status of the A-life system, experiment with the game's music mixer, time attack one Mare, or play as Sega's mascot Sonic the Hedgehog in the minigame Sonic the Hedgehog: Into Dreams. Sonic may only play through Spring Valley on foot, and must defeat the boss: an inflatable Dr. Robotnik. The music is a remixed version of "Final Fever", the final boss battle music from the Japanese and European version of Sonic CD (1993).